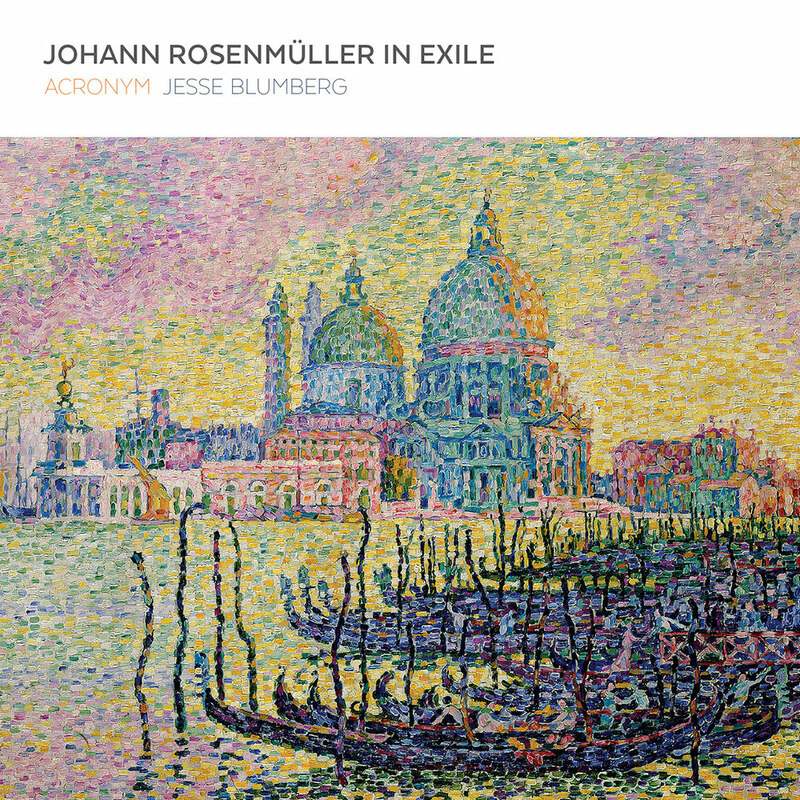 This recording presents music from the time of Johann Rosenmüller's exile in Italy, alternating large ensemble chamber sonatas published in Venice in 1670 with world premieres of unpublished bass cantatas. Baroque string ensemble ACRONYM freshly transcribed the cantatas from a manuscript collection and recruited talented young baritone Jesse Blumberg to perform them here. Most of Rosenmüller’s vocal works are sacred and set German or Latin texts, many modelled on the secular cantatas of Italian composers such as Carissimi and Cesti, incorporating Italian operatic and instrumental elements.